If you own a Fiesta ST, you might have received a recall notice about overheating cylinder heads, otherwise known as "Safety Recall Notice 17S09" or "NHTSA Recall 17V-209". 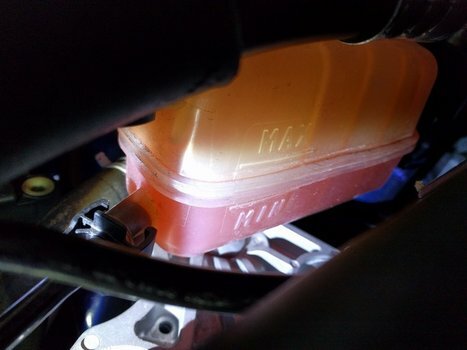 One easy way to protect yourself from having this issue until it can be fixed under warranty is to keep a close eye on your coolant level. Ford dealerships aren't expected to be able to fix this issue until the fourth quarter of 2017, so it's important to do this often until then. 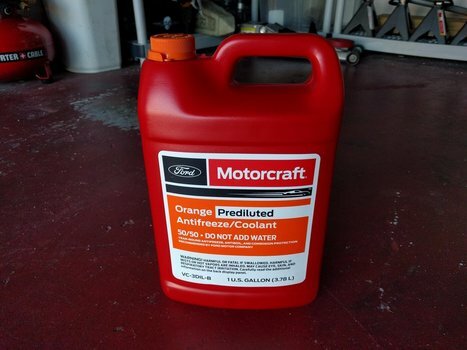 Even after it's fixed, it's still a good idea to check your coolant level on a regular basis. When your car is completely cold, pop the hood and locate the overflow tank on the left side of the engine bay. Look at the right side of the tank (the side facing the engine). There will be a MAX line and a MIN line. They can be difficult to see depending on the lighting. If the fluid level is between these two lines, you can stop reading this article now. If it is below the MIN line, like mine is, keep reading. WARNING: Make sure your engine is completely cold before proceeding. It is dangerous to open the overflow tank cap when the engine is warm, as hot steam and coolant can spray in all directions. Cover the cap with a rag and slowly untwist it. 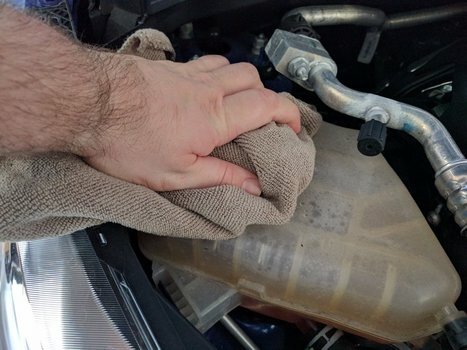 The rag will hopefully catch any coolant that sprays out. Set the cap and rag aside. 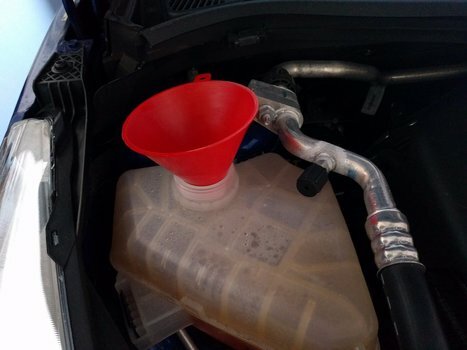 Place a CLEAN funnel in the hole, and slowly pour new coolant, checking the level periodically. When your coolant level is between the two lines, you're done! Remove the funnel and re-install the cap, making sure to tighten it down until it stops. You should be good to go for now. Just keep an eye on the level until Ford tells you to come in for the repair. 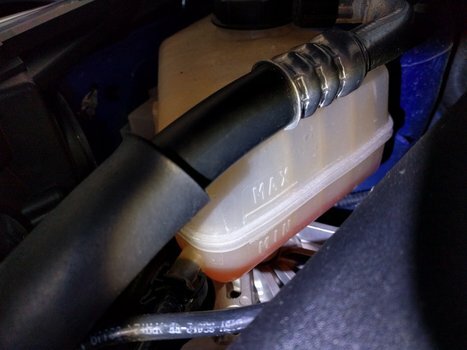 Even after the recall is complete, you'll want to check all of your fluid levels once a month or before a long trip (as a general rule of thumb).